Deer antler extract allows you to take advantage of the most exciting new product and experience for yourself the powerful strengthening and energizing qualities of Deer Antler Velvet Extract for maximum potency and effectiveness. Deer antler extract is the deer antler powder put through a extract process concentrating on the growth factors IGF-1, IGF-2, and many more making the velvet antler extract capsule almost twice as powerful as the velvet antler powder capsule. Natural source of IGF-1 and growth factors. The ultimate athletic sports supplement. Promotes muscular strength, endurance and lean body mass. Enhance Sexual Functioning for both men and women. Build a powerful immune system. More youthful skin and hair. Deer antler velvet extract is an all natural breakthrough formulation aimed at stopping and reversing aging, boosting athletic performance, improving skin condition and more. Deer Antler Velvet extracts rare and noticeable health enhancing, restoring properties have been prized in the Orient for over 2000 years. Many scientists believe a decline in IGF-1 levels in human tissue may cause many of the degenerative changes associated with aging. For example: wrinkled skin, graying hair, loss of sexual desire and function, increased body fat, decreased energy and more. New Zealand's Red Deer feeding on naturally occurring pasture and herbage without growth hormones or additives. The most exciting product to come out of New Zealand is Deer Antler Velvet Extract. Our supplier, a New Zealand firm, was the pioneer in the standardized soluble formulation of Pantocrinum deer antler velvet extract. This unique, sterile process preserves all the active ingredients, which are more pure, and boost the already high blood absorption rate, thus creating the Rolls Royce of deer velvet extract. Less than ten percent of New Zealand antler velvet meets the criteria of our product. All processing is conducted in licensed laboratories to meet international quality standards and the final product is subject to microbiological quality control. This New Zealand based company is one of the very few worldwide which can provide a guarantee of quality. It takes approximately 33 kilograms of high quality velvet to produce one kilogram of Pantocrinum. Our products are the only standardized Antler Velvet products on the market, which means the Antler Velvet powder and extract you or your pet take today, will be exactly the same 6 months or 2 years from now. 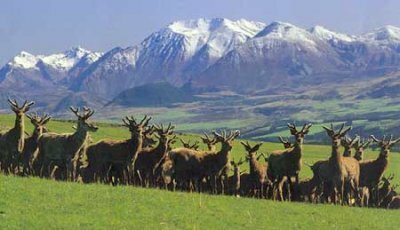 Recently compiled research at lnvermay Research Centre, Otago, shows that New Zealand produces have the highest quality deer velvet antler in the world. More decisive are the results of the lnvermay trials, which compared the composition of New Zealand Red Deer Antler Velvet with the velvet traditionally regarded as the world's best from Russia and China. The mineral content of each of the antlers was similar when analyzed; however, the lipid content was greater in the New Zealand Red Deer. Superior natural source for growth factor IGF-1, IGF-2, amino acids, prostaglandin, glucosamine, and contains the trace minerals iron, zinc, copper, manganese, selenium,calcium, magnesium, potassium, sodium, sulfur and phosphorus.